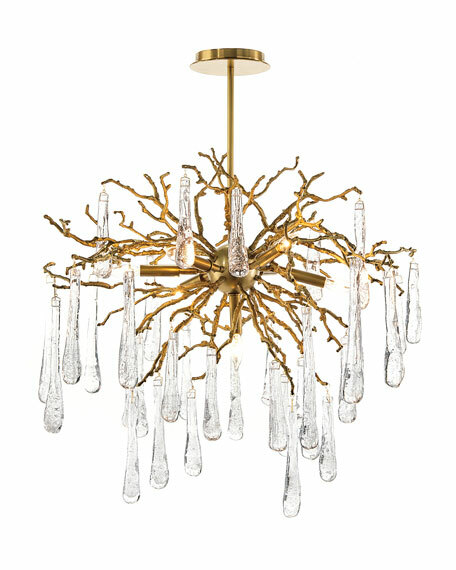 This seven-light chandelier of organically formed brass branches are adorned with hand-blown bubbled glass teardrops. 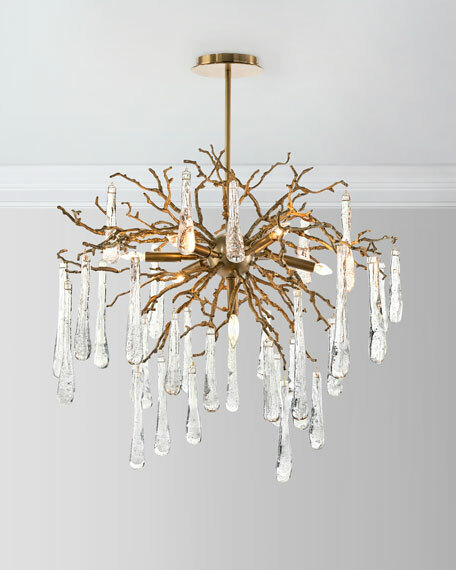 This chandelier is suspended by a brass rod, there are three 12" extension rods, and one 6" extension to personalize the height of this glorious chandelier. Weight, 35 lbs. Boxed weight, approximately 49 lbs. Please note: Because this piece is handcrafted, branches will be different sizes. Width will vary.